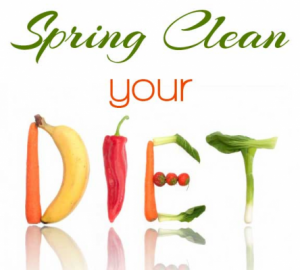 Spring is a wonderful time of year to re-evaluate those new years resolutions and hit the reset button for your health. They are foods that are thought to provide benefits beyond basic nutrition and may play a role in reducing or minimizing the risk of certain diseases and other health conditions. Include these ten functional foods to add some benefits to your health. Citrus foods-Contain the functional component called flavanones, which reduces the risk of certain cancers. Soy-based foods-Natural soy products like edamame contain Isoflavones which lowers LDL, total cholesterol and triglycerides and improves HDL. Cranberries-Contain Proanthocyanidins, which can lower the risk of urinary tract infections. Whole grain foods-Contain bran and fiber which reduces risk of cardiovascular disease, cancer, and mortality from all causes. Tomatoes and watermelon-Contain the phytochemical, lycopene, which lowers the risk of prostate cancer. Leafy greens (My favorite since they have a ton of benefits)-Contain carotenoids, sulforaphanes, apigenin, and lutein/zeaxanthin. Carotenoids block carcinogens from entering cells (cancer protective), sulforaphanes and apigenin provide heart protection, lutein reduces blindness in the elderly, and zeaxanthin enhances immune function. Foods: Spinach, kale, collard greens, broccoli, broccoli rabe, broccoli sprouts, arugula and other leafy greens. Grape juice and red wine-Contain Resveratrol, which exhibit heart-healthy effects. Women 1 glass, men 2 glasses for moderation! Nuts-Contain Monounsaturated fatty acids (healthy fats), vitamin E (antioxidant), which may reduce the risk of coronary heart disease. Probiotics-Contain “Good for you” bacteria, typically lactobacillus. This supports gastrointestinal (GI) health, and may boost immunity. Remember! Diet is only one part of a healthy lifestyle. Functional foods are not a ‘cure all’ or remedy for poor eating habits. Be sure to ‘supplement’ functional foods in an already healthy lifestyle! Kim began her career as a Certified Personal Trainer through the National Academy of Sports Medicine. She then graduated from Malone University with a Bachelors of Science degree in Adult Fitness and a minor in Community Health. 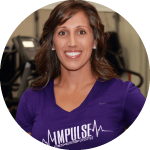 Upon graduation she found herself as the owner of Impulse and a part of an amazing team of health professionals. Her intention was to simply get people in shape which quickly evolved into a passion for helping people gain back control of their lives. As her mission grew so did her team, her facility size was quadrupled, and soon she was joined by her husband, additional trainers, therapists, and a dietician. Together they have created a positive training experience where everyone can achieve incredible and lasting results. Kim brings passion, expertise, and honesty to a new level as a fitness coach and leader in the fitness industry!